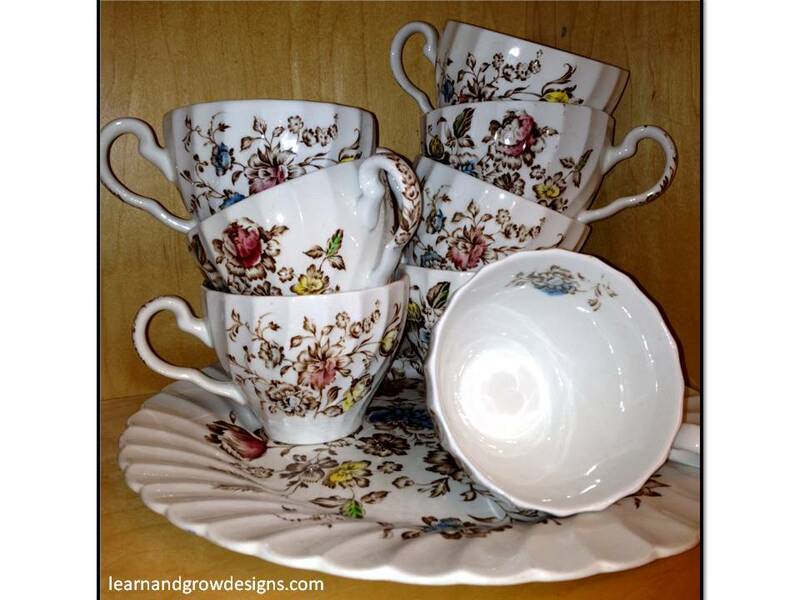 My girls and I had so much fun making these teacups to go along with the Nursery Rhyme "I'm a Little Teacup". It was fun for me to see what colors my daughter's chose to decorate their teacups. The colors each of my daughter's chose really reflected their personalities. Little Red colored the teacup above using soft muted tones and her favorite colors, purple and turquoise. Here is how Little Blonde colored her teapot. I love how she always thinks outside of the box. Yes we even did the actions to "I'm a Little Teacup" which my almost 9 year old and 7 year old thought was a little "babyish" in their own words. Aah..my girls are growing up too fast! You can purchase this fun "I'm a Little Teapot" art project in my Learn and Grow Designs Etsy and Teacher's Notebook Shops for only $2.00. 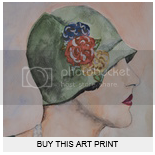 Yes, just $2.00 and you can print as many copies as you would like. With your instant download purchase you will receive an already digitally colored teacup like the example above, as well as a black and white version of the teacup that you can color yourself. 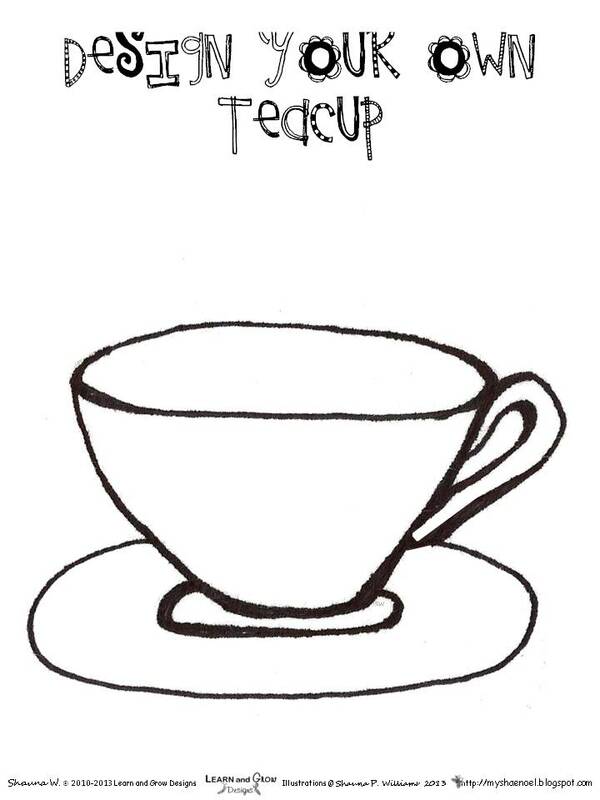 You can glue the parts of the teacup together or you can turn the teacup into a darling puppet. You will also receive an "I'm a Little Teapot Poster" that includes the words of the Nursery Rhyme. 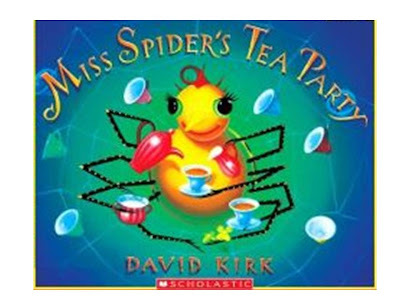 After making my girls made their teacups we sat down and read David Kirk's book, Miss Spider's Tea Party. This is a darling book about Miss Spider who desperately wants to have other little bugs join her for a tea party. She has two timid beetles stop by, then three fireflies, four bumblebees, etc... Unfortunately, everyone is scared of Miss Spider and they all quickly scurry or fly away. To quote the book, the little bumblebees say, "We would be fools to take our tea, with anyone so spidery." I have to say, this book does have a happy ending, but you will have to go and check it out yourselves to see what happens. You can also hear Miss Spider's Tea Party being read on You Tube by clicking here if you can't wait to get your own hard copy of the book. 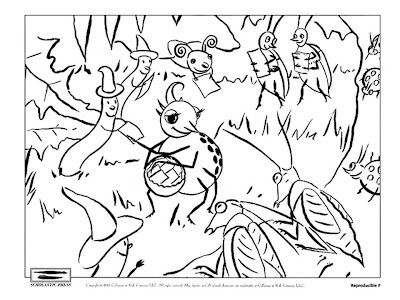 Miss Spider Coloring Page copyright scholastic.com. 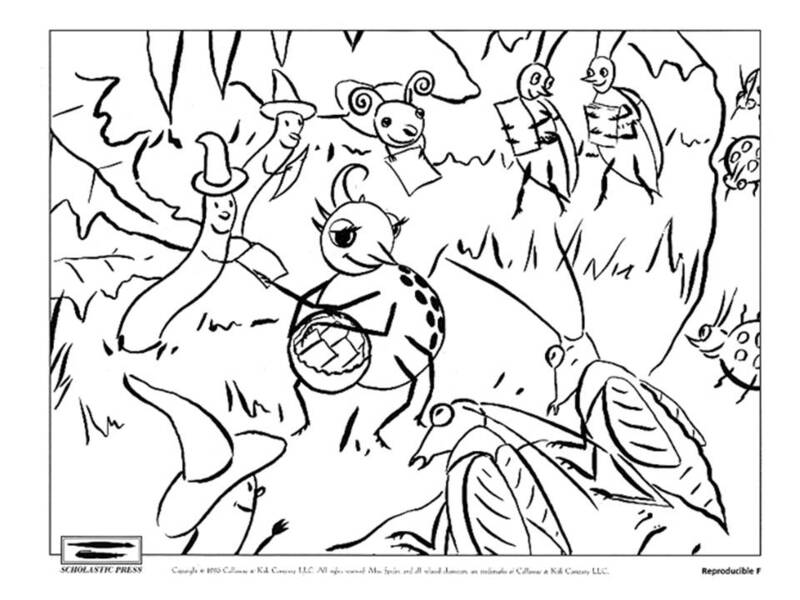 I also found some free printable Miss Spider Coloring pages on Scholastic's website. Click Here to be taken to these darling coloring pages. To end our fun day we pulled out these beautiful vintage teacups I got at an estate sale many years ago, and we had our own little tea party (with apple juice and milk, my girl's choice of yumminess). 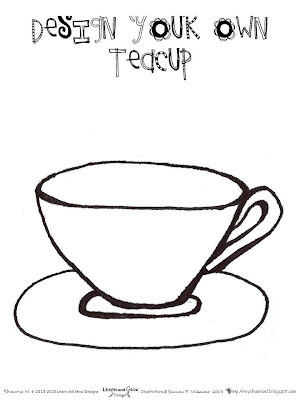 Want to design your own teacup? Click Here to be taken to my blog post where I share this free download and another tea party related children's book. 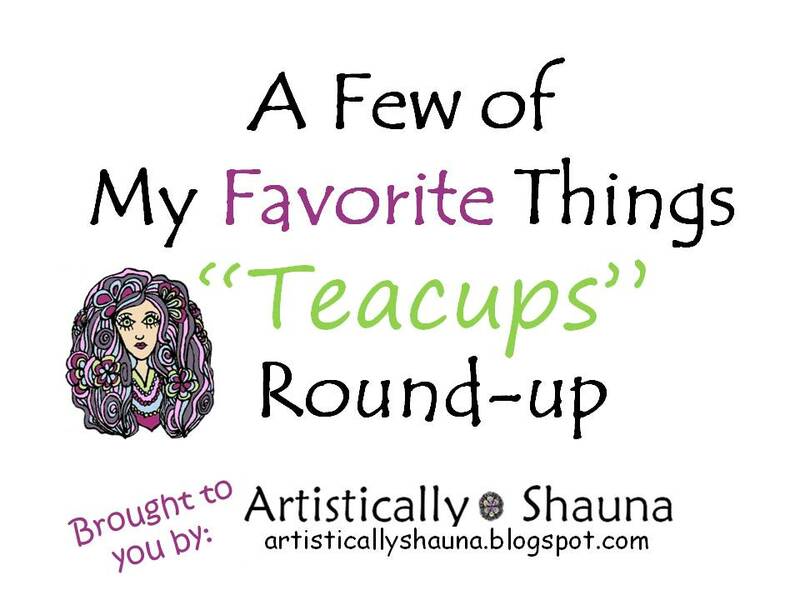 Last but certainly not least, click here to go and check out my "Teacups Round-Up" on my Artistically Shauna website. It is full of darling teacup related items. 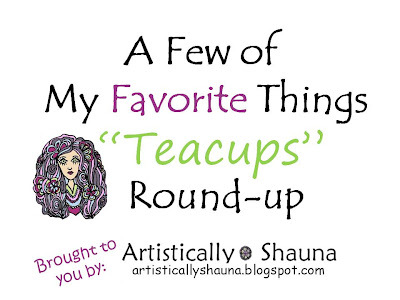 What a great set of tea-inspired art projects! 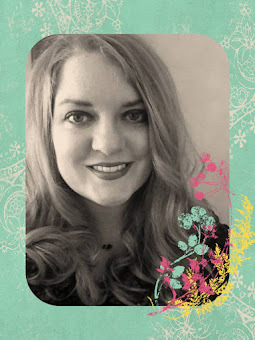 Thanks for sharing at the After School Linky Party!